Motocross Gear, Accessories, Parts and More! No matter if you're a serious motocross enthusiast or a casual street bike rider, BTO Sports has everything you're looking for. We understand that riding motorcycles is more than just a hobby, it's a way of life, which is why we offer the top motocross gear, parts, and accessories for top performance. Whether you're looking to upgrade for a customized performance, need to make a repair, or need a new helmet, we have top quality motocross parts and accessories for the best prices. BTO Sports has been a leader and respected supplier for all motocross gear since 1998, making it our mission to help riders reach their full potential. In addition to our unsurpassed customer service, we deliver the best prices and quick delivery so you can spend more time hitting the track. We strive to provide great products by brands you already know and trust for the best quality and riding experience. As riders ourselves, we know exactly what you expect, and we make it our mission to deliver. At BTO Sports, we have everything you need to take your riding experience to the next level. We have exactly what you need for dirt bikes, ATVs, street bikes, and more. If you're not a pro rider, no worries! BTO Sports has motorcycle and dirt bike gear for casual riders, too. BTO Sports has top quality motorcycle parts to enhance the riding experience-- no matter your riding style. We have all of the parts you need-- from sprockets, chains, and brakes to performance pistons and suspension kits. If you need exhaust parts, fuel injector kits, or dirt bike air filters, we have it. We even have leading accessories and customizable pieces, like plastic kits, graphics, seat covers, and much more. With BTO Sports, you can take your bike and make it your own with unique custom backgrounds to transform your bike from a boring factory model to a one-of-a-kind bike. We offer the latest apparel for men, women, and children from leading brands. 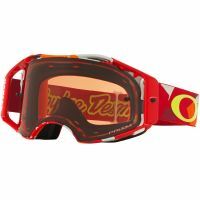 From top-of-the-line dirt bike boots and motocross helmets to goggles, racing gear, and backpacks-- we have it all. All of our riding gear is durable and manufactured to last to ensure maximum comfort and versatility while you ride from brands like Fly-Racing, Troy Lee Designs, Fox Racing, and Alpinestars. Plus, you can order your gear now with customized jersey printing with your name and number so you can save time and money before going to the races. Our top-of-the-line performance dirt bike parts and accessories will maximize your performance on the motocross track while keeping you looking great and protected with brand name motorcycle gear. At BTO Sports, we keep our shelves fully stocked and ready to go so you can get back out there riding in a hurry. Whether you need handle bars, a chest protector, tires, or jerseys-- we have it. No matter what you're looking for, we have you covered because we know riding is more than just a hobby-- it's your life. Check out our extensive selection of parts, gear, and accessories today to revolutionize your riding experience. At BTO Sports, we've got the best motocross accessories available. Get ready and set to hit the trail or track with our top quality, competitively priced motocross accessories. Sometimes it's the details that make the difference in how a ride goes, and that's why we pay attention to those details: your motocross accessories from the brands you love and trust. We stock every kind of motocross accessories that you can think of, from gear bags to ATV tools, and from tire accessories to stands and ramps. Find all the motocross accessories you are looking for from top brands—at prices that you will love. BTO Sports is home to a team that loves what we do, because we love the sport of motocross. We know that you're dying to get back out there on the track and win, because we are too. You're looking for the motocross accessories and gear that take you to the next level every time you ride, and that's exactly what we've got.